Simply, Self-love is love directed to the self (see self dash love). Self-love is the unconditional love and respect you have for yourself that is so unwavering that you only choose loving, respectful situations and relationships, including the one with yourself. Self Love is a Path, a Practice and a Choice you make everyday in your relationships, work, health, wealth, home, everything. instead of taking empowering, loving actions. Self Love is a Path. 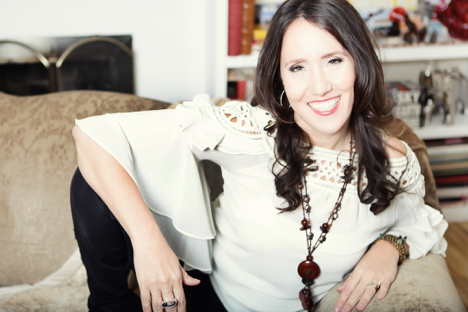 There is no quick easy fix to cultivating a strong self-love foundation. It takes time, practice and devotion. Which is why most people never make shift that sticks, or make the changes to their lives so they can live in alignment with their heart’s desires and soul’s path. We are a culture who likes the quick fix – lose 15 lbs in 30 days, find the ‘one’, make six figures, buy a house. You can keep trying these remedies that keep you surfing on the surface, or you can dive deep and get the roots, where the medicine of self-love can make shift happen. Where the change on the inside elevates your life on the outside and your happiness, sense of worth and belonging, sense of having what you need no longer is predicated on an external circumstance or receiving love from one being. When you have a strong foundation of self love you live from and make your choices from the very core of your whole, healed heart fully unleashed and self expressed soul. The foundation of self-love is made up of the “5 Gates of Self Love” each with a key that is a self-love promise that one must be able to take and keep – the 4 primary gates (as shown in the illustration above) supported by the foundational gate and what I call ‘the big kahuna vow of self-love” : I promise to stay true to myself, even if that means disappointing another. Self Love is a Practice + a Choice. 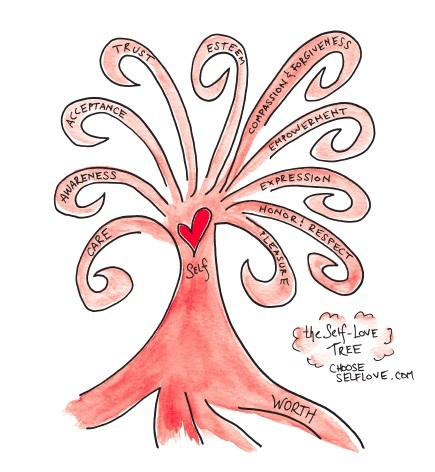 The answer – you strengthen all 10 branches of self-love + the roots of self-worth. Self-love is not just self-esteem. You can have strong esteem (which is the belief you can do and be anything, self confidence), yet lack self honor and respect and end up successful in your career and a mess in your relationships. You can have self esteem and lack self expression and create a life where you look successful on the outside but it’s like you are living someone else’s life and the true parts of you are repressed and hidden. Over time, as you make these choices in your day to day life, at a physical level, the neural pathways in your brain change to form new patterns and habits… at an emotional level your heart opens and feels safer to make choices that honor what you need… at a spiritual level you begin to trust more and feel more connected to your truth … and at a relational level you are able to ask for what you need in ways that allow supportive people to help you and non-supportive people, well, to find new relationships with you that serve not sabotage you. It took me 10 years to cultivate a solid, strong foundation of self-love that now I keep strong through my practices and daily choices, using the tools I’ve learned to transform self criticism, blame, shame, fear, guilt and stress into unapologetic self-love, staying true to myself no matter what. Everything in my life has become more aligned because of the choice I made over 15 years ago to love myself, even though I didn’t know how to do it or what it really was. And even when I asked spiritual mentors, therapists and elders I would get these vast non specific answers that did not give me a path. 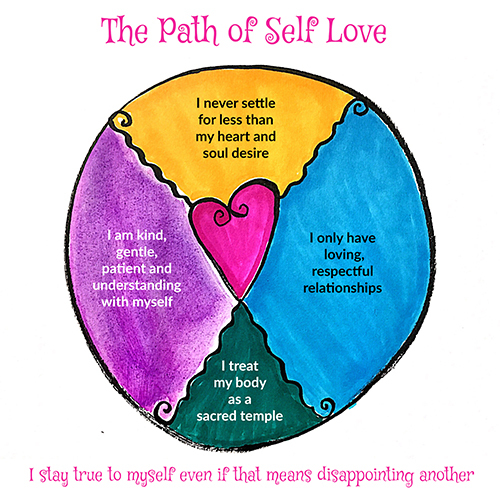 It’s taken me a decade to test, experiment with and create the processes, practices, tools and wisdom that lay out a specific PATH supported by PRACTICES that support you to MAKE SELF LOVING choices … and that is what we teach, train and do here at The Path of Self Love School. Consider yourself invited to join us. I believe with all of my heart that self-love is one of the most essential but misunderstood medicines we need in these times. Self-love is at the very root of every choice our children will make in their lives. As parents we can’t be there in every moment to make sure they are making the choices that keep them safe, loved and supported to be their best selves. Self love can. Self love gives a child and an adult the inner core strength to stay true to themselves, trust themselves, take care of themselves, be themselves, express themselves, no matter what. And like all things, we can only teach what we ourselves live. One last thing that I want to get straight – self love isn’t the absence of love of the other, self-love helps us love others better. And… a person must develop their own sovereignty and commitment and connection to self before they can truly be in fully loving and respectful partnerships and relationships with another and this world – and that goes for all relationships, not just romantic. It’s my great honor and privilege to have been given this sacred technology to make self love a real, practical, attainable reality for all beings. I know our sacred work, our relationships, and this planet will thrive even more when our foundation of self is strong. Self Love Signs – How to tell if need more love, from yourself.